Comments: 1999 release. Includes 8 page insert booklet. Case carries blue "Elvis Artist Of The Century Burning Love 18 Classic 1972 Performances" sticker. 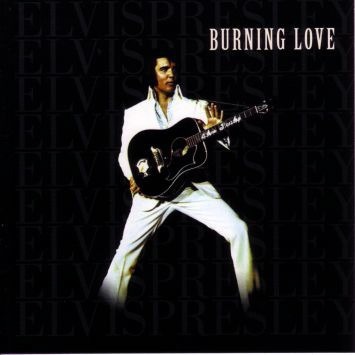 18 tracks are: Burning Love; Never Been To Spain; You Gave Me A Mountain; I'm Leavin'; It's Only Love; Always On My Mind; It's Impossible; It's Over; Separate Ways; Fool; Hound Dog; Little Sister/Get Back; A Big Hunk O' Love; Where Do I Go From Here; For The Good Times; It's A Matter Of Time; An American Trilogy; The Impossible Dream.